Being embedded in the structures and culture of one’s society can make it more difficult to utilize the sociological imagination. I believe this is especially true in the US where many of our institutions and values focus on the individual – earning individual grades throughout years of schooling; promoting our individual characteristics to gain employment, awards, and access to higher education; relatively high levels of privacy; a historical focus on leading individuals in the success of collective action (e.g. Rosa Parks); etc. I have found that teaching students to understand and utilize the sociological imagination – the ability to see the relationship between one’s individual life and the effects of larger social forces – is aided by exposing them to different social structures and cultures. While study-abroad programs are ideal for experiencing this first hand, we can also bring other cultures into the classroom through film, photographs, and students’ existing experiences. Marriage is one of my favorite topics to teach this intersection between individual biography and history. And there are several films or video clips about this topic in other cultures. The first is “The Women’s Kingdom”. It is available in two different lengths – 9:36 or the full-length 20:00 (great for flexibility in the classroom) on the PBS Frontline website. It is also available in various places and versions on YouTube. 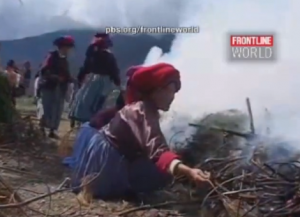 The film investigates the matriarchal society in the southwest provinces of China known as the Mosuo. Here the family is structured around a mother’s extended family and marriages (as we know them) seem rare. Procreation occurs in what the West would see as more casual relationships. Children are raised with assistance from their maternal aunt’s and uncles, not their biological fathers. Using the sociological imagination, we see that this type of family structure is only even available to a culture where the extended family remains more intact and geographically proximate than the typical, more mobile and geographically disparate families of the US. I also have found it effective to have a discussion about what age students did get or imagine getting married. It usually averages out in the late 20s. When I ask why, students refer to the desire to finish school and get their careers well under way. 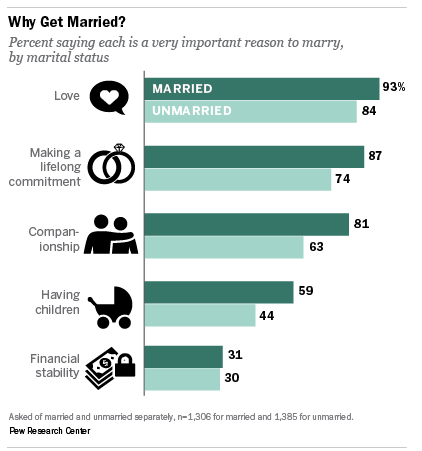 So do we marry for love or are we only open to love when our economic conditions are “right”? Using the sociological imagination we understand that our more modern economy (social structure) requires greater training (or at least greater credentialing) which equates into more schooling and often the pursuit of advanced degrees for both men and women. 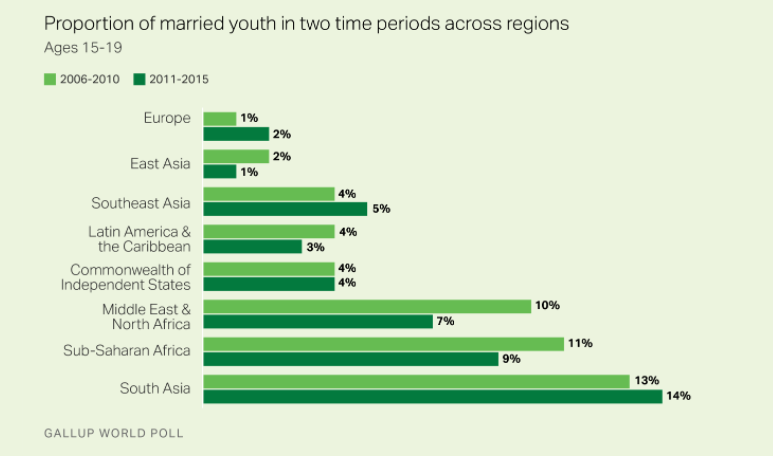 There is more great data on marriage trends in the US available from the Pew Research Center. 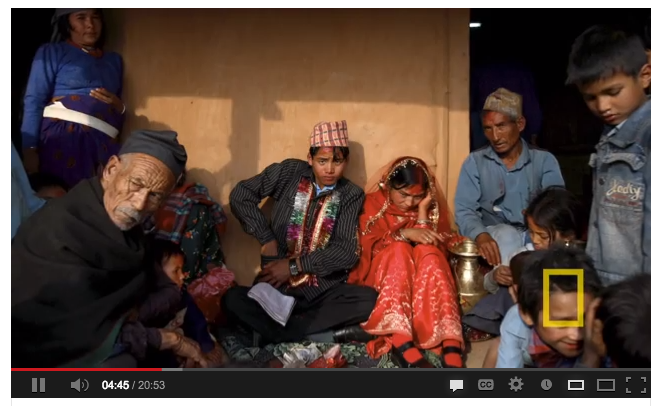 Another video that exposes students to different cultural norms around marriage is a 5:19 story by CNN on fraternal polyandry, or two brothers marrying the same wife. Be sure to ask the students to watch for the structural reasons that drive this form of marriage. By seeing the “difference” in other cultures and thinking sociologically, we can become more aware of the social structures that strongly guide our seemingly individual decisions – like whom to marry, if at all. 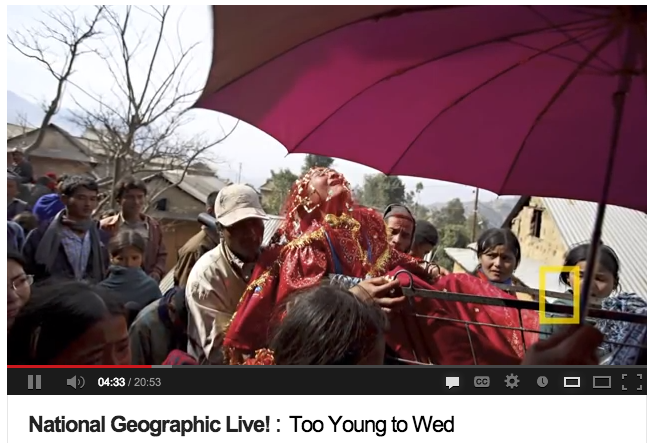 Lastly, there is an interesting video of a National Geographic photographer and researcher discussing child marriage throughout the world, entitled Too Young to Marry?. It contains reflections on their behalf about why it still exists, how hard it is to change, and whose place is it to change it – plenty to get the sociological imagination fired up and working, of course with your guidance as a teacher. I usually pair a selection of readings from the Massey reader from W.W. Norton, Readings for Sociology with this class period. 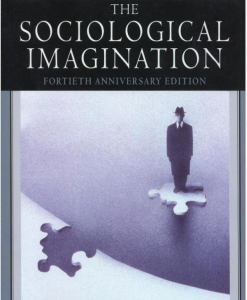 In the 2012 edition, a portion of Mills’ The Sociological Imagination makes up chapter 2. I also pair this early in the semester with chapter 3 from that same reader, Durkheim’s argument about social facts. In many ways, using the sociological imagination is the ability to see social facts, so these two chapters really complement each other and build a strong foundation for the rest of the term. Of course, you could find both of these readings in other sources as well – Durkheim’s is online. Finally, I get the students started thinking about marriage using their sociological imagination by reading a piece from Stephanie Coontz, “The Radical Idea of Marrying for Love” (from Marriage, a History), chapter 38 in that edition.